It’s Christmas time and here in Temple Bar we are acutely aware of the hardship suffered by the people who sleep rough on our streets. 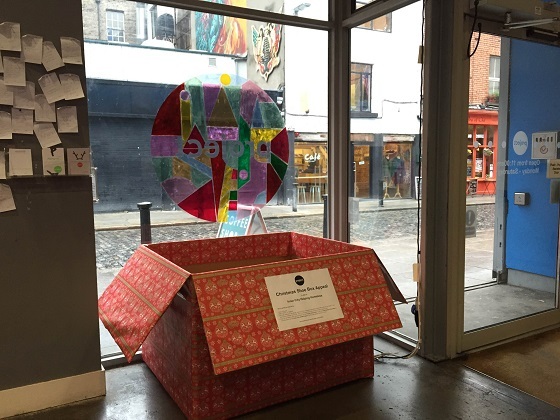 We’re taking part in a great charity appeal organised by Inner City Helping Homeless to help Dublin’s homeless community: the Dublin FILLaTRAM Appeal. On Wednesday 9 December at Connolly Station, people are invited to donate shoeboxes full of essential items and small gifts. LUAS have donated a whole tram which will be filled up on the day with all the donated shoeboxes! There will also be lots of other events including top chefs who will be serving hot meals, and barbers and hairdressers who’ll be offering free haircuts. All the team here at Project will be donating shoeboxes and travelling to Connolly on the day to donate them and we’re encouraging you to do the same! 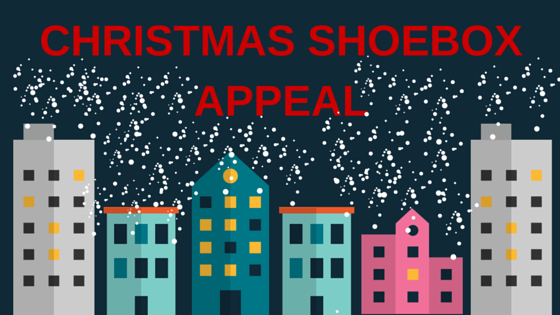 If you can’t make it on the day, you can drop in a shoebox to us by Tuesday 8 December and we’ll bring it to Connolly for you. Fill the shoebox with essentials such as hats, gloves, scarves, socks, underwear, cosmetics or treats like books and chocolate. Or else join us on Wednesday 9 December at Connolly Station – we’ll be heading down en masse at 12 noon. 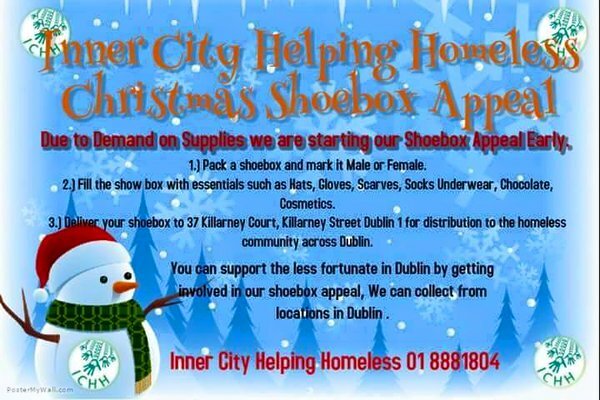 You can find out more about the wonderful work of Inner City Helping Homeless and their Christmas Shoebox Appeal on their website or Facebook page.